This would rate somewhere down a checklist of baseball’s unwritten rules, under a broadcasting subcategory, right there below the antiquated notion that a no-hitter in progress shall not be referred to as, you know, a no-hitter in progress. The day a play-by-play broadcaster misses a game is guaranteed to be the day something extraordinary and memorable will happen. All right, perhaps that is more an announcer’s paranoia than an unwritten rule. But the mind-set exists. Ask a baseball broadcaster about taking a day off, and he or she will inevitably reply with more dread than sarcasm that it will be the game when the kid shortstop hits for the cycle, or a pitcher takes a no-hitter into the ninth (shh, don’t dare mention it), or the manager throws a full-scale nutty punctuated by taking first base back to the dugout and refusing to surrender it to the umpire. So on that day off, there’s one thing they always end up doing: watching the ballgame, from habit, for enjoyment, but mostly for fear of missing something important. 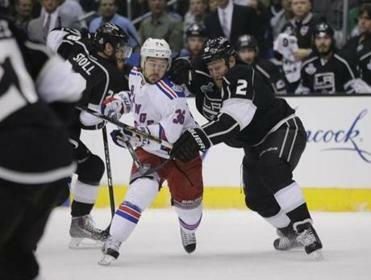 Having the Canadiens in the Stanley Cup Final would have been a disaster for NBC’s thus-far outstanding ratings. As with most rules, written or not, there are exceptions. But Don Orsillo has never been one of the exceptions. He’s there, on NESN, every game day from the first broadcast in Fort Myers through Game 162 in September. He’s always liked it that way. He’d watch anyway. Which is why it struck me as odd Tuesday when NESN announced something that was actually determined several months ago: Orsillo and Jerry Remy would be taking in-season vacations this year. A break for Remy doesn’t come as a surprise. He has missed time for various well-known reasons in several seasons, and a prescribed hiatus over the long season isn’t the worst idea for someone who has endured serious health problems. At the least, it’s a chance to recharge his batteries. He will be on his break from June 19-27. Dennis Eckersley will join Orsillo for the trip to Oakland and Seattle as well as a Yankees game June 27. But the news that Orsillo would take significant time off — July 11-19, which accounts for three games before the All-Star break and two after — was just short of shocking. He has never been an in-season vacation kind of guy. While NESN spokesman Gary Roy said Orsillo has missed occasional games during his 14 years as NESN’s play-by-play voice, they are few and far between, and he has never missed a midsummer stretch of games consecutively. Roy said NESN has given in-season breaks in the past to producers and directors, and that it is a new policy to do the same for its on-air talent, to keep them fresh. He also noted that other regional sports networks do this with their broadcast teams. That’s all understandable. Still, it’s hard not to consider Orsillo’s vacation without some curiosity. He has never wanted to do this before, and that raises the question of why NESN would want him to now. After all, along with Tom Caron, Orsillo is the trusted constant on NESN’s airwaves. Various programs and personalities have come and gone. The Red Sox broadcast has added bells and whistles of varying degrees of necessity and entertainment value. Remy has been his chief color analyst since Orsillo’s arrival in 2001, and their popularity for a time transcended sports. Yet Orsillo has also worked with 29 other analysts. He is the steady center of the Red Sox broadcast. He’s good at it, and viewers appreciate it. Orsillo’s uncanny ability to mesh effortlessly with analysts of various styles and quirks is one of the reasons he is so well-regarded in the industry. TBS began using Orsillo as an announcer on its postseason broadcasts in 2007 and has long coveted him for a larger role. Being the voice of the Red Sox is the default dream job for almost any New Englander who grew up rooting for the Red Sox but realized along the way that playing at Fenway Park would never happen. Orsillo has often said it was his dream job, and he paid the dues to achieve it, spending 10 years in the minor leagues. It’s hard to fathom, perhaps because he’s not the cynical sort and his appreciation for his job has never waned, that Orsillo has been at NESN for 14 seasons. No wonder he’s never wanted to miss a day. Every day at the ballpark is a reminder of the long road traveled toward that dream fulfilled. Orsillo did not comment beyond a brief text Wednesday expressing his satisfaction with his role at NESN. Will that remain the case? NESN holds an option on his contract for next year, and there are industry whispers that negotiations haven’t gone as smoothly as they should. 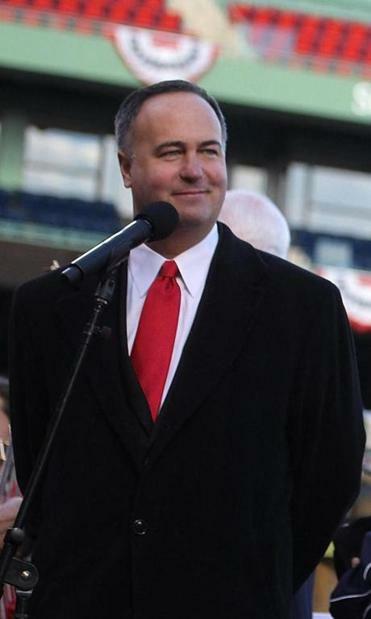 Orsillo deserves reciprocation of the respect that he’s given the job through the years. The viewers give it to him. Here’s hoping his employers do, too. Just how good can Brock Holt be?